MATSUYAMA, EHIME PREF. - Police put a convicted thief on the wanted list Monday after he escaped from a prison in Imabari, Ehime Prefecture, the night before. Tatsuma Hirao, 27, ran away from Matsuyama Prison’s Oi shipyard — a rare open prison facility — on Sunday evening. 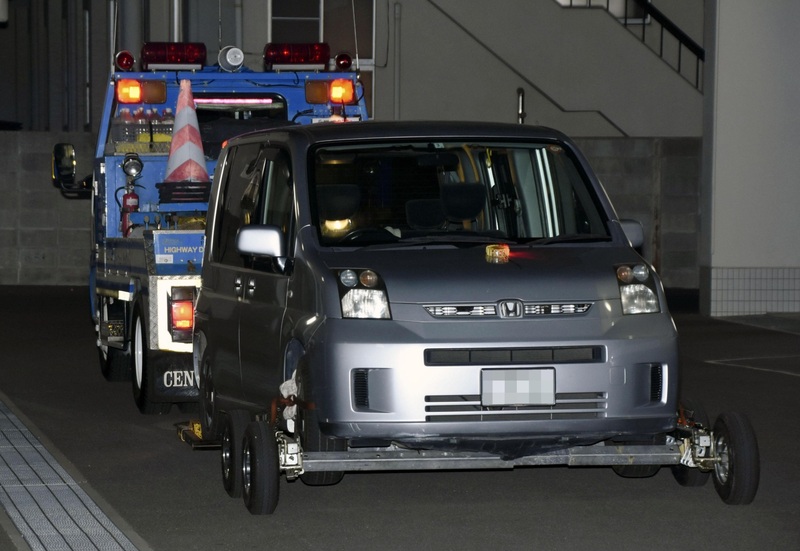 The police suspect he may have fled to Onomichi, Hiroshima Prefecture, after finding a stolen car believed to have been used by Hirao near a bridge there. Hirao began serving his term at the shipyard in December. One of Japan’s four prison facilities without perimeter walls, the shipyard has seen 19 other people escape since its establishment in 1961, according to the Justice Ministry. Security camera footage showed Hirao running away around 6:10 p.m. Sunday. He is slim and about 173 centimeters in height with short black hair, and was wearing a black sweatshirt, pants and white gym shoes at the time, according to the police. A prison worker called police after Hirao failed to show up at a lounge during his free time from 7 p.m. and was missing from his cell. The police suspect he may have escaped through an unlocked window in the corridor of the prison’s first floor. 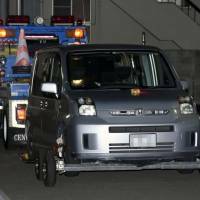 A car and cash were later found to have been stolen from a house about a kilometer from the prison, and the vehicle was discovered around 8:30 p.m. near the bridge in Onomichi. The Oi shipyard is rare for Japan as the prison holds inmates without constant supervision. Prisoners sent there must have a clean record of never having attempted a prison break or suicide. The Justice Ministry on Monday set up a special committee to review monitoring and ensure a similar incident does not happen again at the prison. A ministry official said open prisons are effective in preventing repeated offenses but that such facilities need a suitable security system.